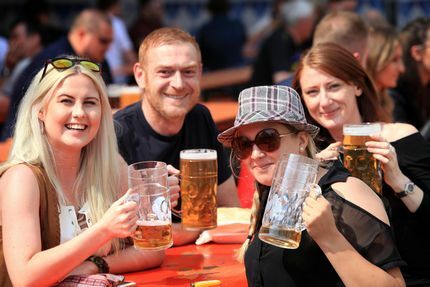 The organizers of the World Wide Oktoberfest tour have announced the official dates for Aberdeen Oktoberfest 2017. Their Queens Link venue will be hosting a vigorous party from 5th-8th October. Oktoberfest is becoming a tradition of the city since it is the fourth year the people of Aberdeen celebrate this fun and merry festival. The mood at our event is as good as the one in Munich., said Carsten Raun, Festival Director. One thing the Scottish and the German have in common is the joy of life with a nice beer, so Oktoberfest is a perfect place to meet. 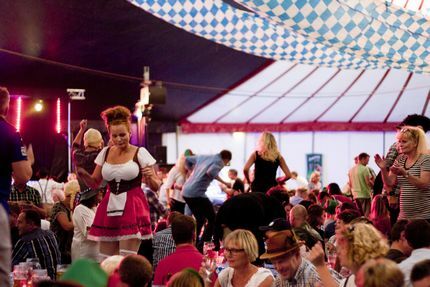 Aberdeen Oktoberfest is celebrated in a big marque with a capacity of 950 seats. An Oompa band entertains guests all night with live music performances. Of course, it wouldn�t feel right without traditional Lederhosen and Dirndl in which all of the service staff are dressed. 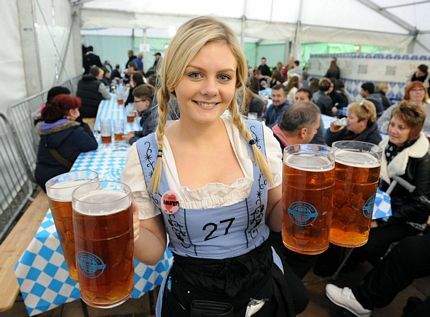 The beer on offer, Bavarian Festbeer, is true German beer (ABV 5%) brewed according to German purity law. It is a dark golden lager with beautiful white foam and embraces a touch of sweetness and a strong yet slightly bitter aftertaste of the hops. But Oktoberfest is much more than just beer. A delicious selection of German specialties is on offer. Guests can enjoy Schnitzel (deep-fried pork cutlet), Prezel (twist-knot bread), H�ndel (grilled chicken) and Schweinebraten (roast pork). A vegetarian option is also available on request. On Sunday, a bratwurst-centered lunch is prepared for families to enjoy an interesting cultural experience. The event is 18+, except for Sunday when children are allowed to get in for free.  Entrance is free on Wednesday, �5 on Thursday & Sunday and �10 on Friday & Saturday. Or telephone +44 20 3239 5070.